Can you spot the Great Horned Owl? He picked a clever hiding spot! March 13th – sad news. Cleo tended her chicks all day yesterday. Around 5 she was sitting up in the nest looking up expectantly. I think she was waiting for the male to bring her something. He never showed. I worry that something happened to the male. She left and we haven’t seen her back. She could not hunt and keep the chicks warm. I was surprised that we didn’t see any activity around the nest during the day. In the past the male has brought food even during the day after chicks hatched. We took a picture of her sitting up yesterday afternoon. Now there is just an empty nest. 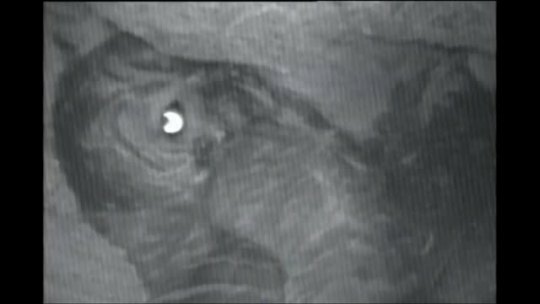 I think that after both chicks hatched they were in the lower part of the nest out of the field of vision of the camera. We could see her rearranging and reaching down to tend the chicks. Now there is just an empty nest. March 10th – Cleo left the nest this afternoon at 4:40. She perched at the opening and looked in before she left. Andy spotted her and assumed that it was the male feeding, but we ran to the computer and she was out. We couldn’t see the chicks, they must be at the very bottom of the nest out of the field of vision. I guess we’ll have to wait till they are bigger to see them again. She returned in 11 minutes and I don’t think she got anything to eat. She is nestled in but looking up at the opening.